Wise Company Grab and Go Food Kits are perfect for any unplanned emergency. Our ready-made meals are packed in airtight NITROGEN PACKED Mylar pouches, and then encased in durable plastic containers. 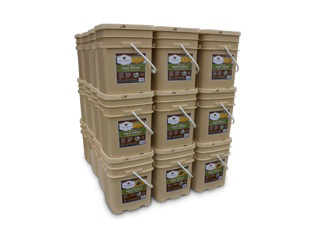 2880 Serving Package – 480 lbs- Includes: 12 – 120 Serving Entree Buckets and 12 – 120 Serving Breakfast Buckets.